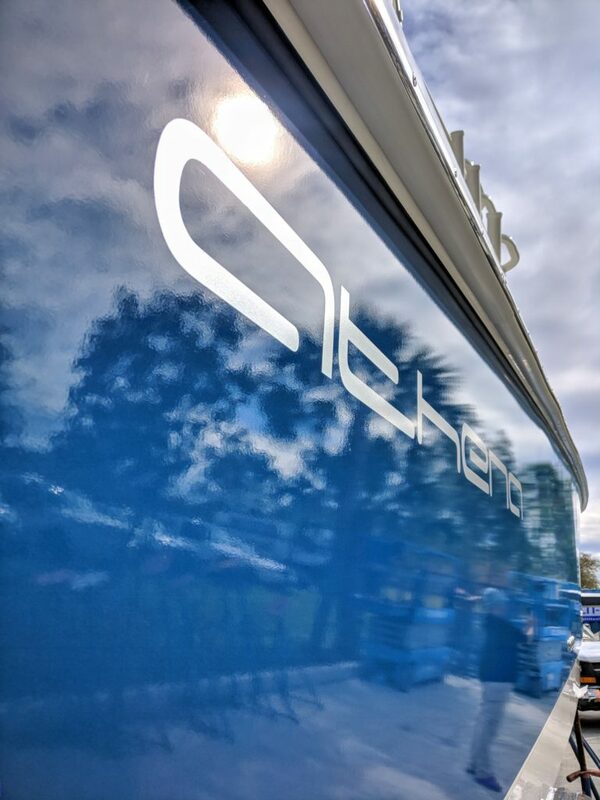 Hey Pershing and Ferretti lovers! 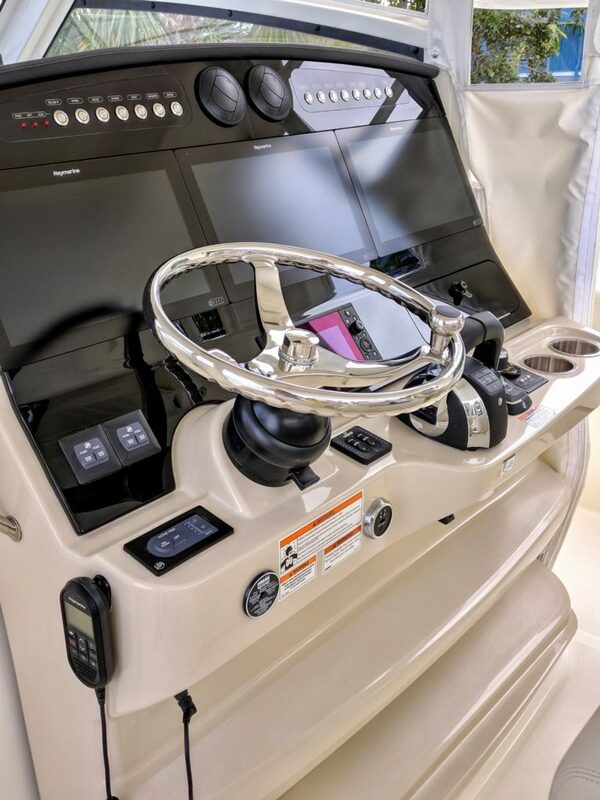 Have you heard about the Nano ceramic hard coating taking the marine industry by storm? Gone are the days are waxing every 3 months. 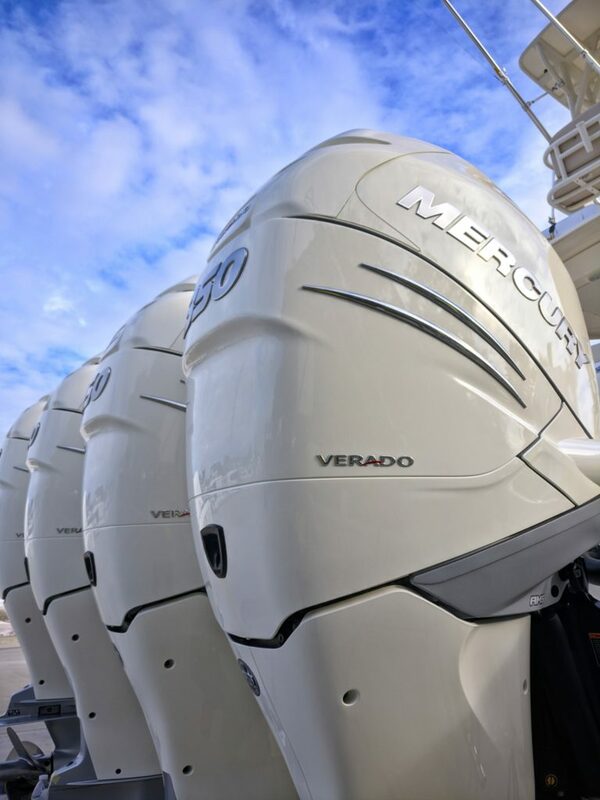 Gone are the days of compounding your boat and removing paint and clear coat. 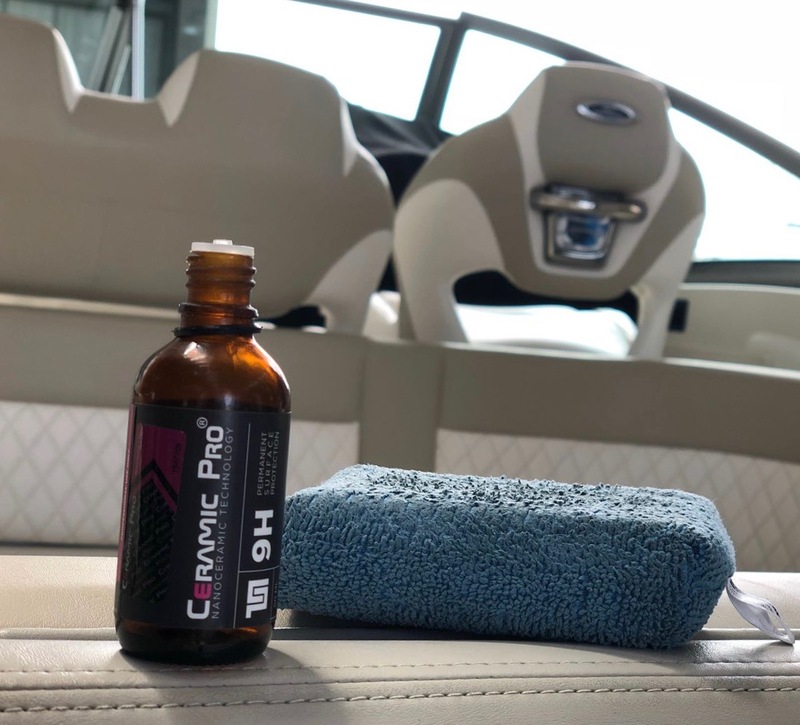 Ceramic protection cuts maintenance down by 50% and pushes expensive repaints back indefinitely. 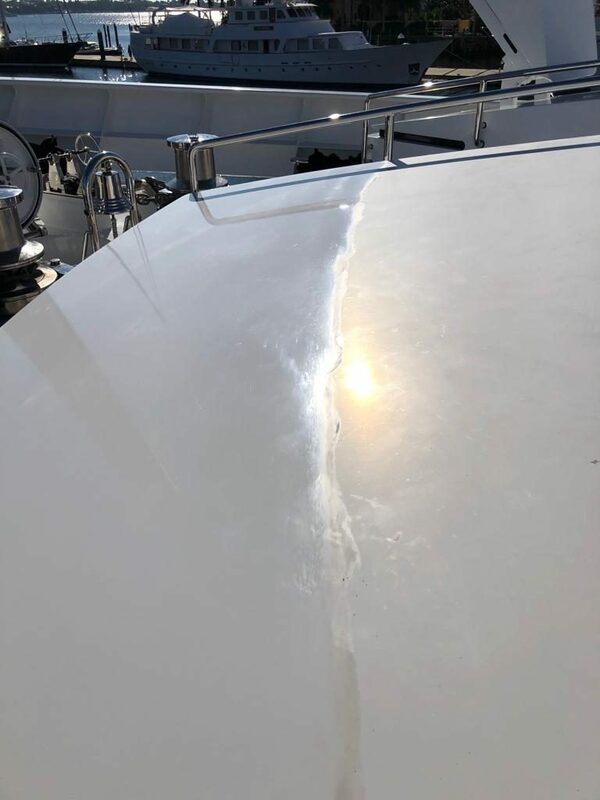 This picture is an excellent representation of nano micro-beads of water on a newly ceramic coated yacht called Julie K 74 Pershing 2015. Yacht cleaning has never been easier, call today for the best yacht detailing experience deliver to your slip by Freedom Yacht Services. 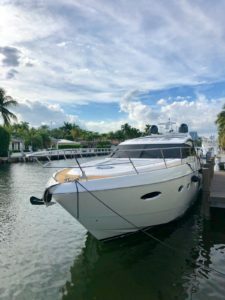 Hot on the market for sale 120’ Bennetti Andiamo gets major Topside surface refinishing ahead of The upcoming Miami International boat show saving the owner $800,000. Freedom Yacht Services, South Florida’s best boat detailing group was contracted to perform this 2 week job that completed restored, compounded and waxed the boat to perfection. Call today for a free yacht detailing or boat cleaning estimate . Also specializing in ceramic coatings such as Nanocane and ceramic pro. 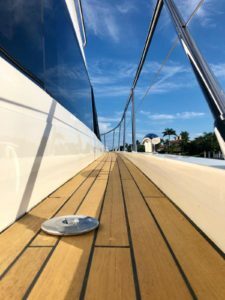 Teak decks aboard a yacht are a stunning feature that look great and repel water by means of natural oils. They’re best when leveled to perfection with 120 grit paper and the Festool dust free sanding system . The color, surface and tone must be perfect for optimum show appearance. 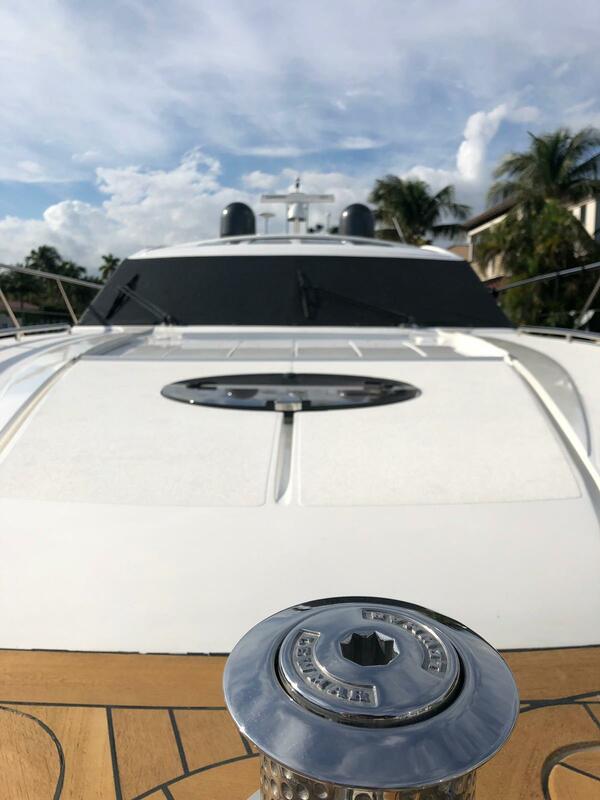 Freedom Yacht Services specializes in the very best yacht detailing and finishing services available here in Ft lauderdale and south florida. 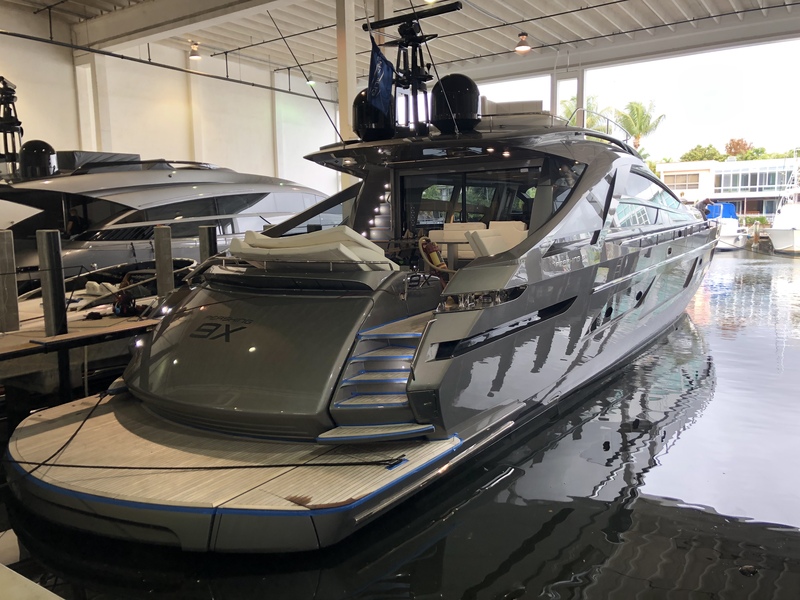 The Miami International Boat Show is almost here. 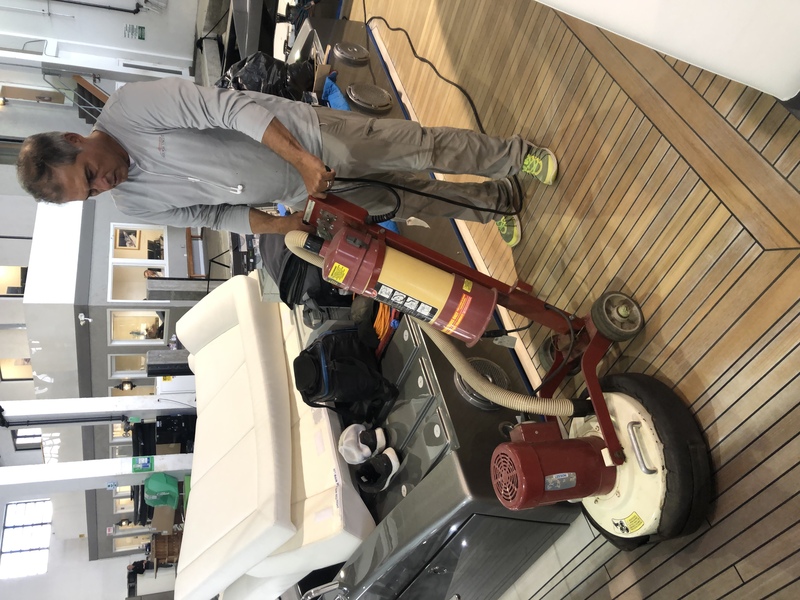 To maximize the appearance and beautiful show condition of this 92 Pershing we’re sanding the decks with 120 grit paper for ultimate color and appearance. Preparation is everything as we carefully and meticulously tape and protect all yacht paint and borders before yacht service begins. The result is five stars. If your looking for the best yacht detailing group in South Florida you’ve found us. 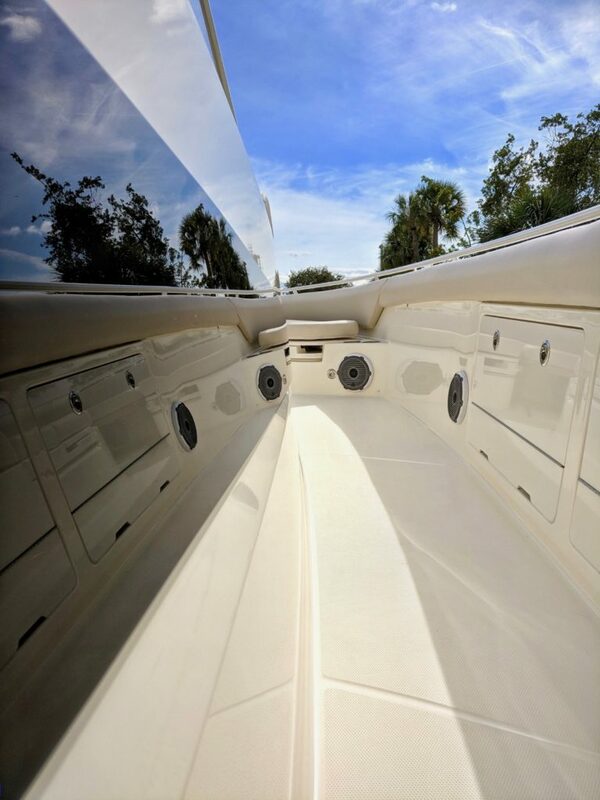 Whether it’s a quick detail wash down aboard your boat or an expert yacht detail cleaning we are here. 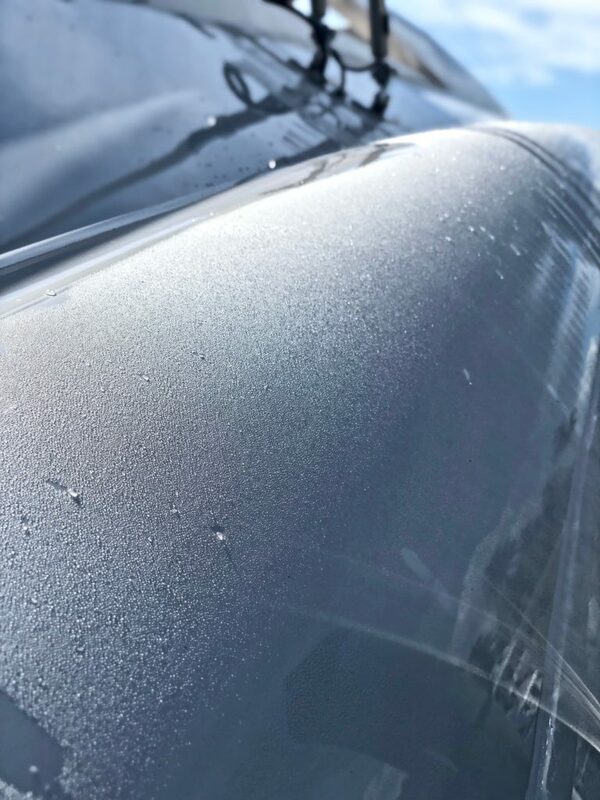 Call today and ask about ceramic pro coatings that we can apply to to your yacht for maximum protection. In the Bahamas, like in South Florida, the conditions are incredibly extreme at times and the strongest protection is always the best protection. 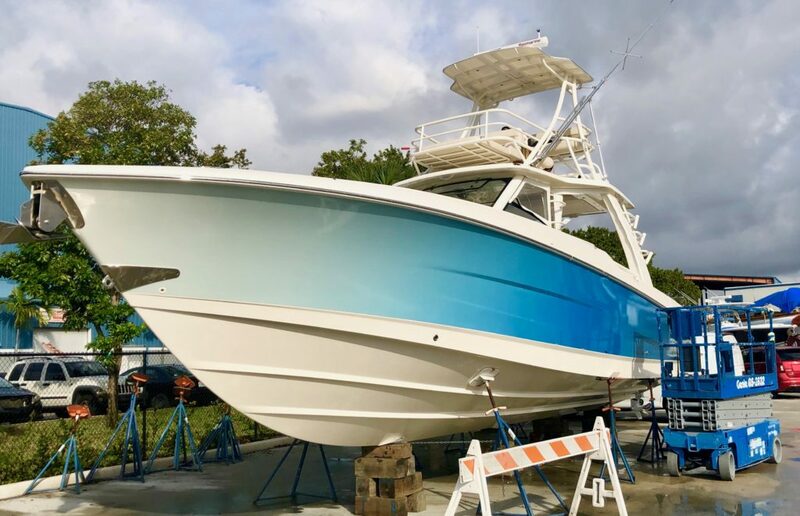 Customer X did his homework on ceramic coatings and decided that his brand new highly customized 420 Boston Whaler outrage would receive not wax, not anti foul paint on the underside but an incredible high shine polishing procedure followed up with 3 coats of Ceramic Pro Bravo. 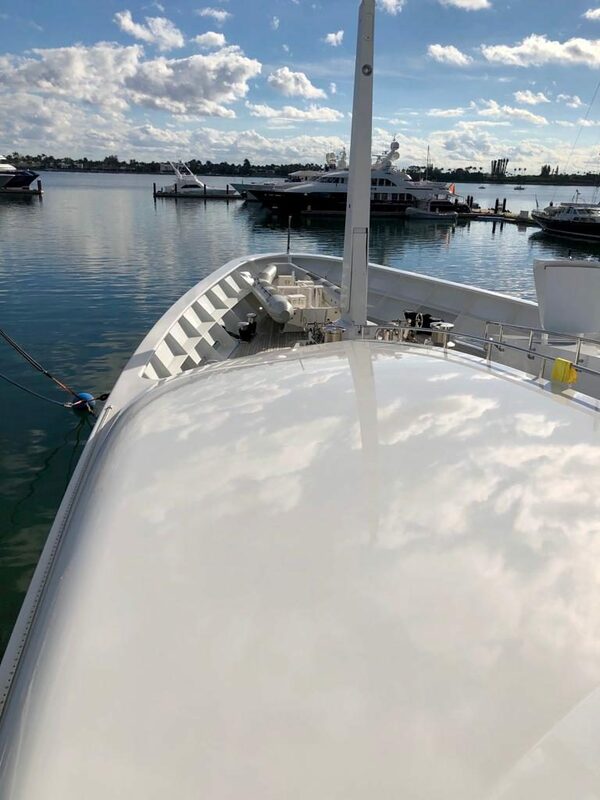 He called Freedom Yacht Services, the most proficient and Marine Ceramic coating team in South Florida and in 6 days his vessel had received the highest degree of shine and ceramic pro love at Lauderdale Marine Center. 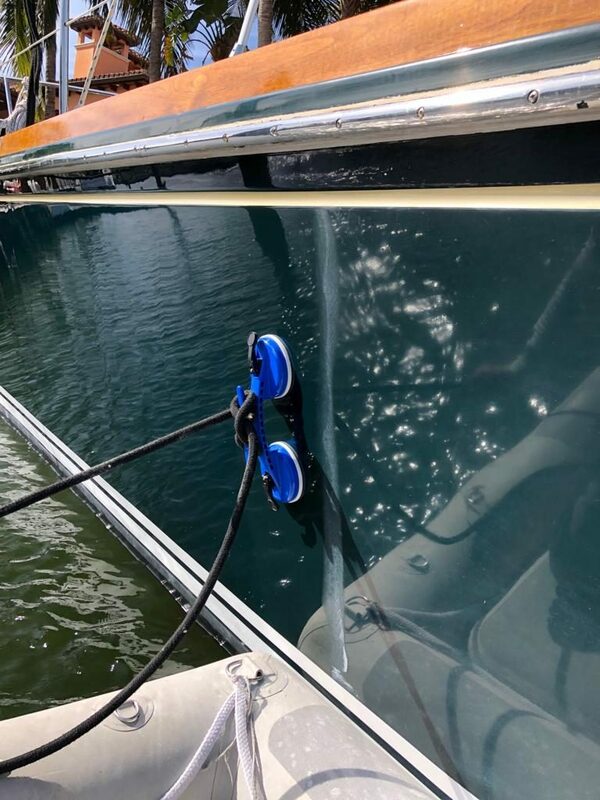 All surfaces were coated, glass, nonskid, gelcoat, engine covers, trim tabs, vinyl wrapping and cushions; making sure the conditions would not affect his baby. If your looking for the newest and strongest ceramic coating application call us today! Enjoy the pictures. 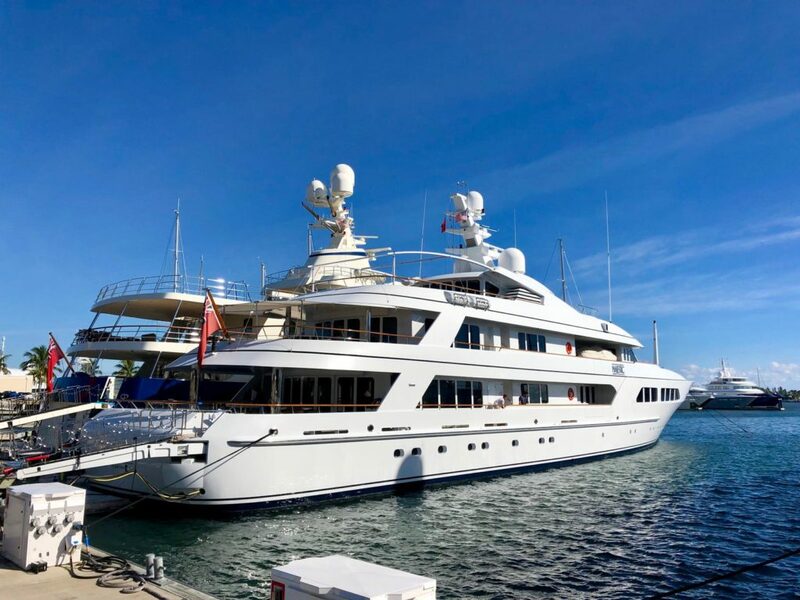 When questioning a new paint job or having a professional yacht detailing company restore the existing painted surfaces of his 200 Foot Fedship, Captain Rafe Paladino called Freedom Yacht Services. In doing so he saved his owner 100’s of thousands of dollars and saved hours of paint maintenance time for his crew. 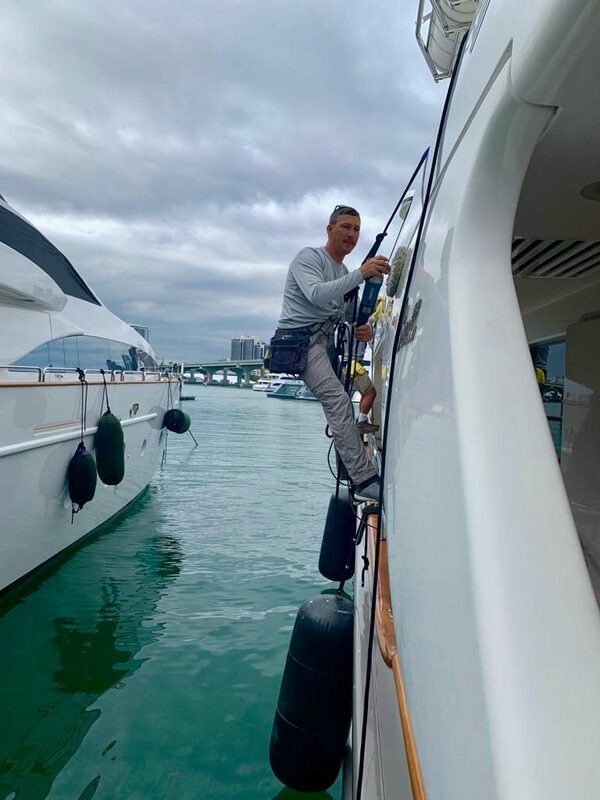 Freedom Yacht Services, highly regarded as the best yacht detailing group in South Florida, showed up with 2 service vans and 6 professional yacht detailers ready to rock. Working with a tight turnaround window the team finished the work in nearly 1 week. The results extraordinary. Freedom Yacht Service’s yacht detailing team used a highly refined German nano finishing system called Nanocane. 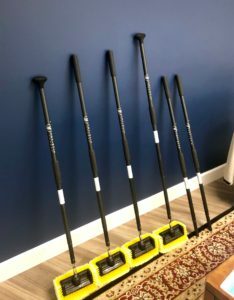 This incredibly fine multi step procedure drastically restored the old painted surfaces back to new with the highest luster and clarity of shine. 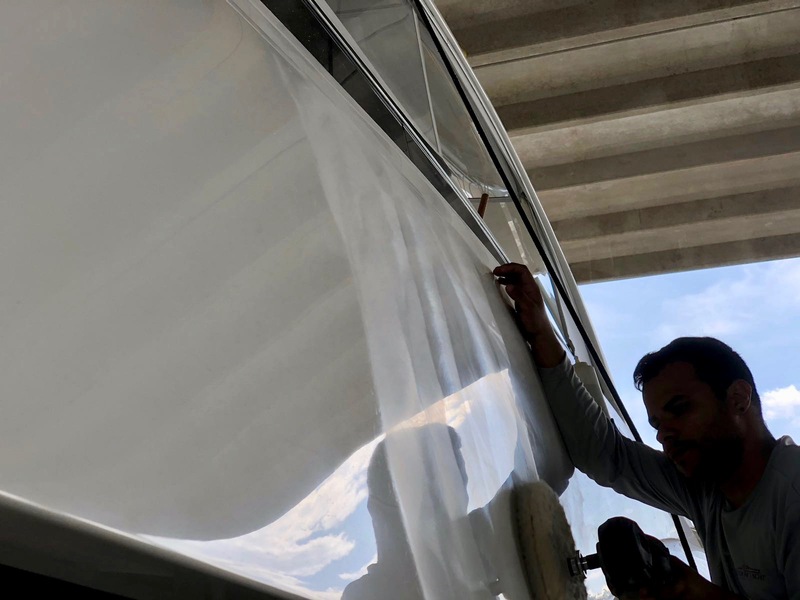 The service team finished the job off applying 2 coats of Nanocane Clear Coat to protect the paint for up to 8 months. 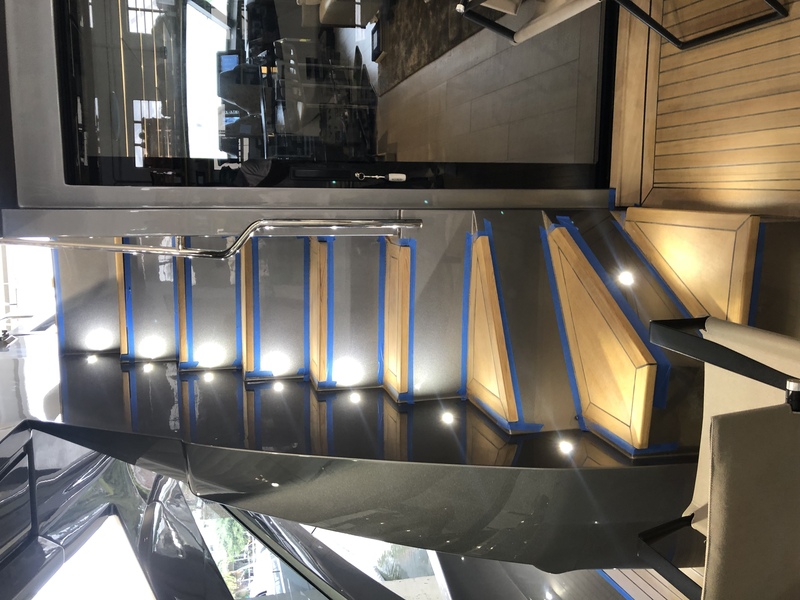 Ft lauderdale’s premier and best ceramic coating team, Freedom Yacht Services, has recently applied one of the first coatings of its kind here in South Florida to a 62 Viking Princess. After taking new ownership the happy new yacht owner had Freedom Yacht Services refinish the complete boat including compound, teak sanding, teak sealer and ceramic pro coating. Here is the boat standing tall. 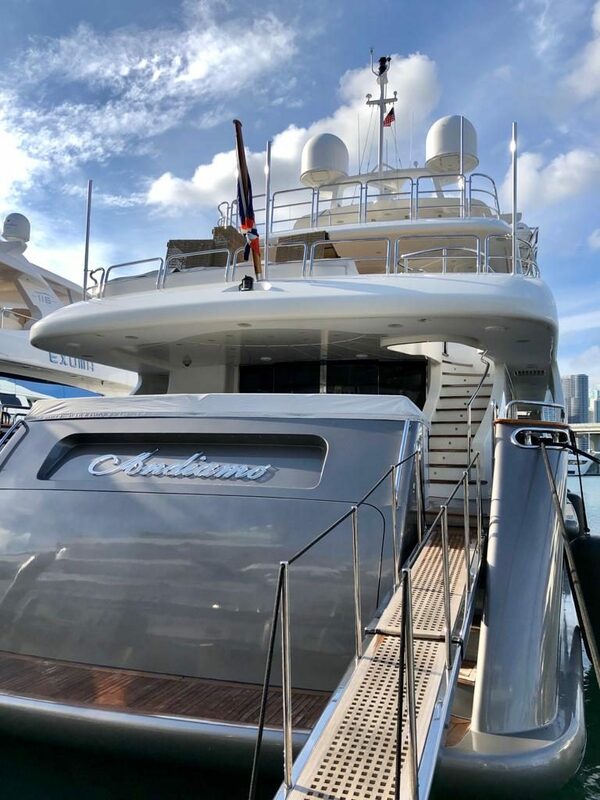 Call Freedom Yacht Services, the very best professional yacht detailing group in South Florida today for a ceramic coating estimate.